Gray G. Lee, head of the AI Center under Samsung Research, said Thursday the next flagship smartphone will adopt an upgraded artificial intelligence platform, Bixby 2.0. 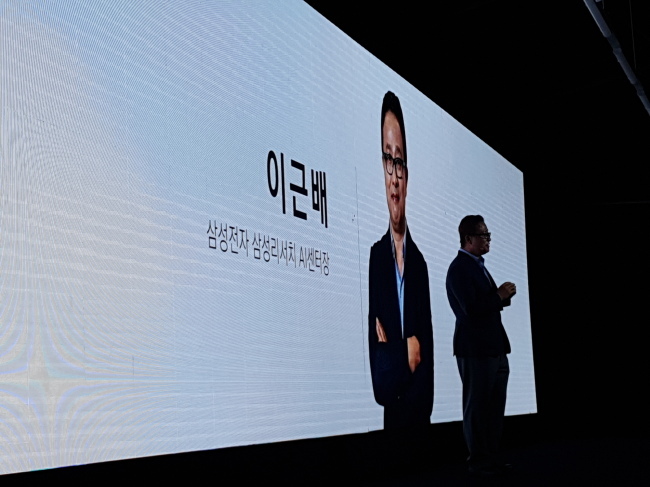 Lee told The Korea Herald that the upcoming flagship smartphone model in the second half of the year would feature the advanced Bixby platform, after a press conference to announce Samsung’s vision for AI. According to his remarks, Bixby 2.0 will be upgraded with enhanced natural language processes, improved noise resistance capability and quicker response times. Samsung is preparing to unveil the Galaxy Note 9 in August, which will be one of the attention-grabbing high-end smartphones to be launched in the second half of this year. To improve its AI platform and technologies, Samsung plans to expand its workforce that specializes in AI to up to 1,000, continue creating AI centers in different parts of the world, and consider mergers and acquisitions of promising AI businesses, Lee said. Samsung plans to connect a total of 14 million units of its products with the Bixby platform this year, and aims to connect all by 2020.